Help! Japanese Knotweed is encroaching onto my land! 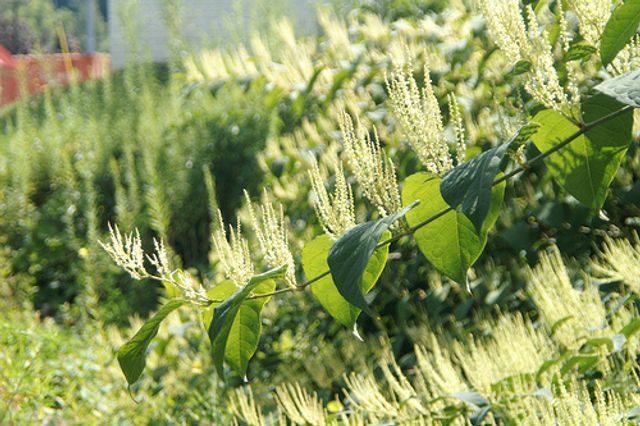 Japanese Knotweed (JK) spreads extremely easily; the extent of its underground root system and the damage it can cause are well-known and the mere mention of the weed sends shivers up purchasers’ spines. It is important not to forget the legal implications which JK brings with it. It is an offence to plant or otherwise cause knotweed to grow in the wild. However, as per the Environment Agency Knotweed Code of Practice “it is not an offence to have Knotweed on your land and it is not a notifiable weed”. It is generally thought that private land and, in particular, gardens do not fall within that definition. Under the Environmental Protection Act 1990 all knotweed material (and soil containing knotweed) is classed as “controlled waste” and must be disposed of at a licensed landfill site under codes of practice. There are also powers under the Town and Country Planning Act 1990 which empower local authorities to require landowners to treat the land if it detracts from local amenities and that could include situations where knotweed is present on the land. The Town and Country Planning Act is often used by local planning authorities by way of planning conditions to force developers to treat sites infested with knotweed. These and other statutory material may lead to criminal prosecutions; however, where knotweed moves from one private property to another, the law is that of private nuisance. A private nuisance is an act or omission which is an interference with, disturbance of or annoyance to a person in the exercise or enjoyment of his/her ownership or occupation of land. Nuisance extends to include encroachment on to neighbouring land such as in the case of overhanging tree branches or tree roots which cross a boundary. A party with suspected knotweed on its land must be given the opportunity to deal with a nuisance that it creates. It is therefore important that a landowner/ occupier puts its neighbour on notice in writing as soon as encroachment occurs and states what action it requires the landowner to take and by when. In the case of JK, normally, the landowner/occupier will require his neighbour to effectively treat the knotweed not only on the neighbour’s land, but also on his own property in order to destroy the JK in its entirety. In the event of a neighbour failing to cooperate, legal action may be commenced seeking various remedies including damages equating to the cost of a treatment programme and guarantee; often, a party will claim the diminution in value of the property and injunctions forcing the neighbour to carry out specific methods of treatment. An individual/organisation can be liable for permitting nuisance to continue even if he/it did not create it and moved in after it was established. Therefore, a purchaser of land should always have the land properly surveyed before completing the purchase as although he would not be responsible for past damage, he will be responsible for ongoing damage. Likewise, a seller might remain liable for damage caused prior to the date of sale and further, liable for misrepresentation to a buyer if he has not correctly responded to the question regarding knotweed in the seller’s questionnaire.